The Moody Mare: First Show Ever! I went to my first horse show ever today! 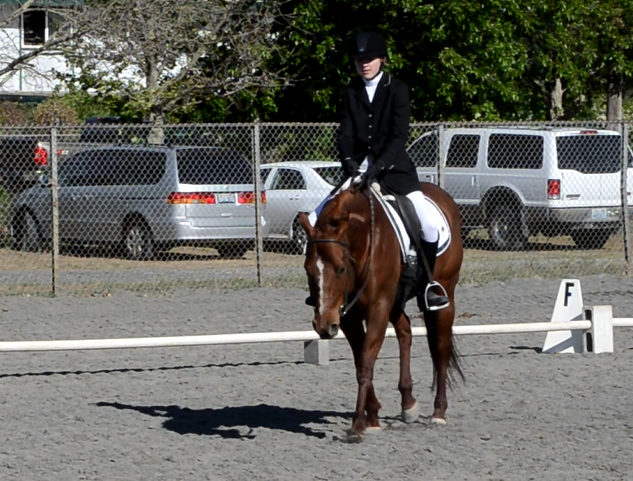 It was a spring dressage schooling show. I took Intro B twice and was against 9 other riders (one junior, the rest adults). 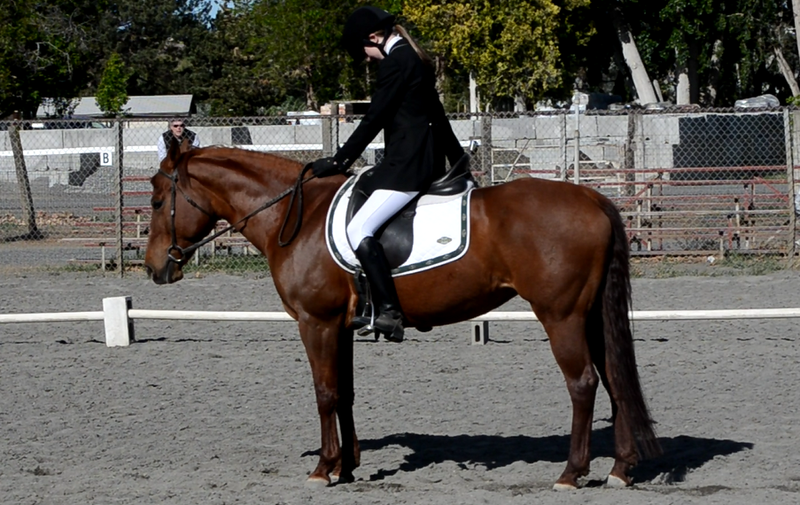 I rode Lena, a lesson horse, for both of them. Lena is the QH mare that I have been riding every other week for the past month and a half; she is super sweet, forgiving, and realllllyyyy laid back. 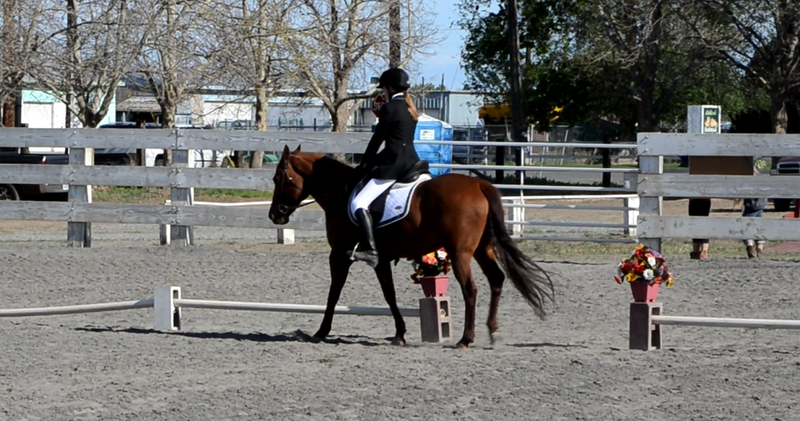 Considering how this was my first time doing a legit dressage test and my first time at a show, I'd say it went well. I even got an eight on a movement! Here are some screenshots from a video. This is great! Good for you. 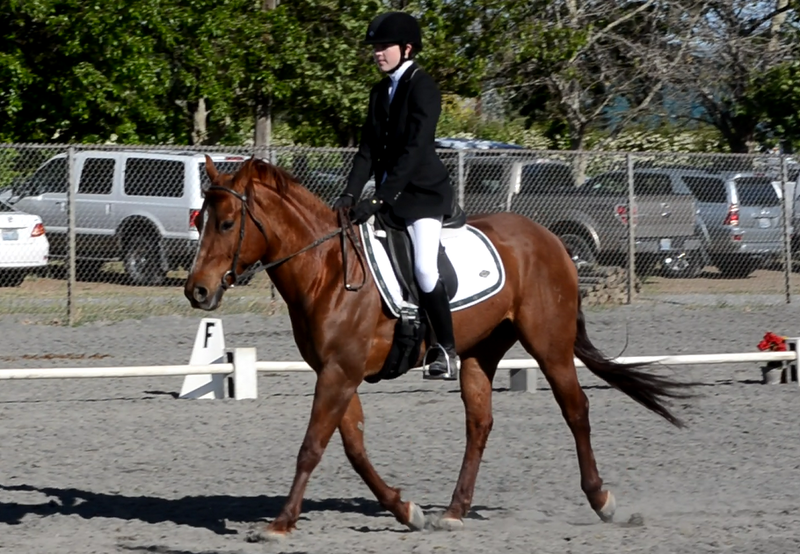 I am really hoping to do my first schooling show this year.